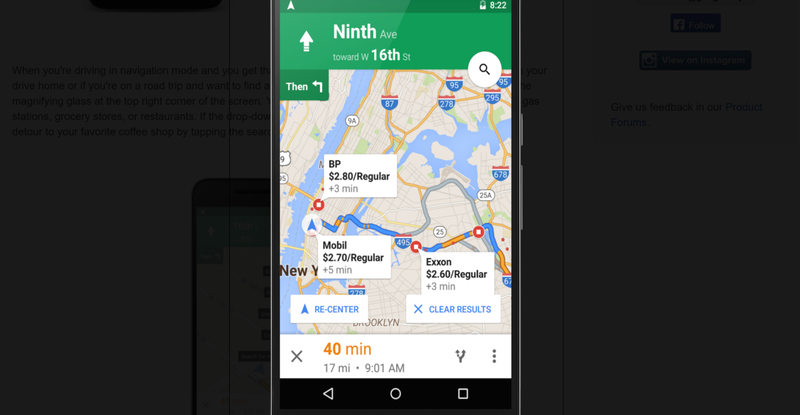 Google has confirmed that the offline navigation features it showed off at Google IO earlier this year are now available for Android devices, though they’re not yet ready for prime time on iOS. To use offline navigation, you’ll first have to download the part of the map that you need for your journey. You could do this before, but it didn’t allow for turn-by-turn guidance. Needless to say, you can’t get live traffic info though. You can, however, access info about places, like hours of operation, contact information and ratings while offline. Once you have a section of map downloaded, the app will automatically switch into offline mode when you lose your connection. Google didn’t say exactly when the feature will arrive for iOS users.